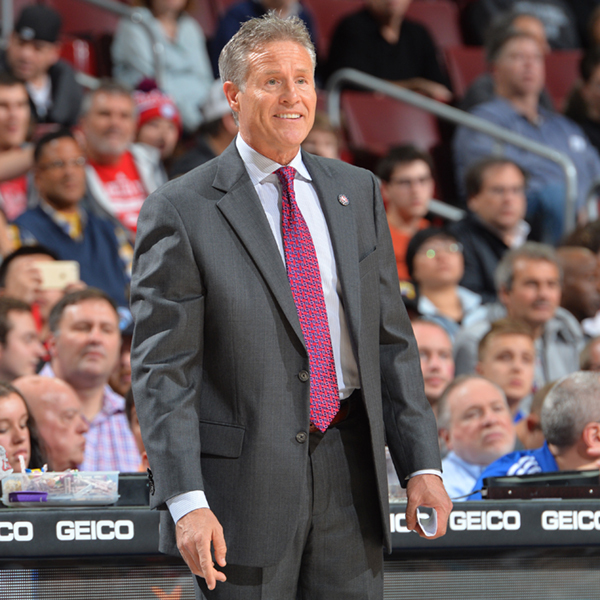 PHILADELPHIA, PA. – December 11, 2015 – Philadelphia 76ers President of Basketball Operations and General Manager Sam Hinkie announced today the team has agreed in principle to a contract extension with Head Coach Brett Brown. Per team policy, terms of the agreement are not disclosed. Brown was named the Sixers head coach on August 14, 2013, after spending the previous seven seasons as an assistant coach for the San Antonio Spurs under Gregg Popovich. Brown originally joined the Spurs as a member of their basketball operations department in 1998-99, but departed at the conclusion of the season to become the head coach of the Sydney Kings of the Australian National Basketball League (NBL).